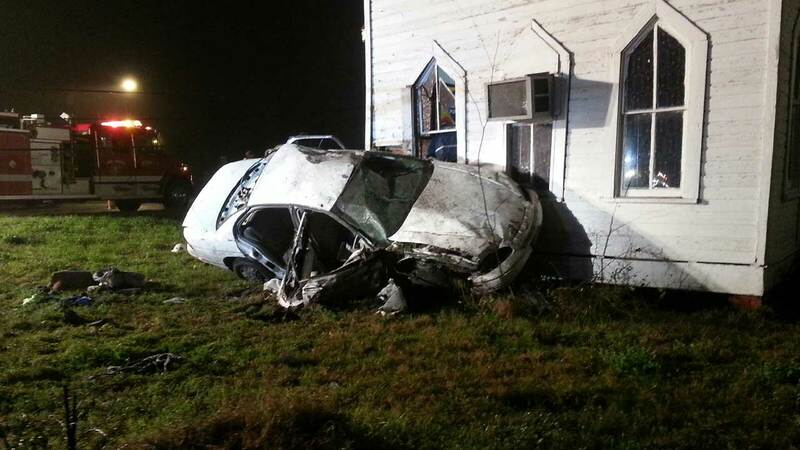 TRINITY, TX (KTRK) -- A Trinity County area woman is lucky to be alive after her rolling vehicle threw her through a church window into a pew early Tuesday morning. The accident happened about 4:30am near Highway 19 and F.M. 1617 in Trinity in east Texas. The Trinity Chapel African Methodist Episcopal Church building is 125 years old and traces its origin back even further to 1882.